Building contractors offering exceptional quality at affordable prices. 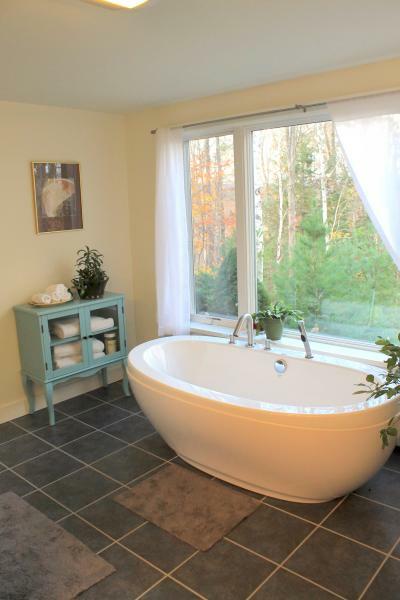 Remodeling, repairing, renovations and restoration services for home or business. 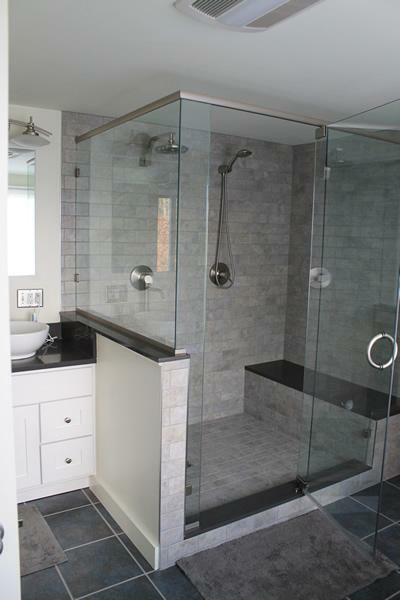 The client wanted to convert their unfinished basement into a Master bedroom/bathroom suite. 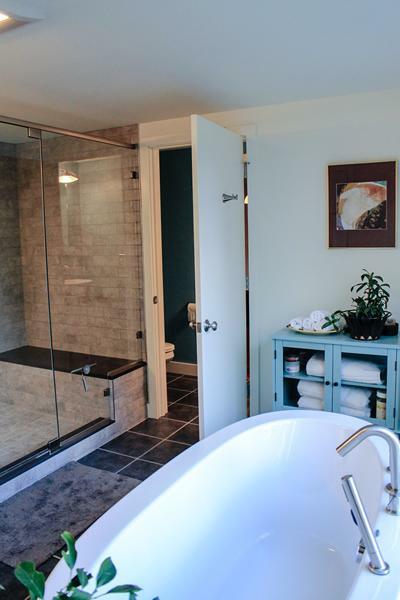 As part of this remodel, we created a luxurious bathroom space, including a soaker tub situated in front of a large window – looking out into the peaceful backyard. 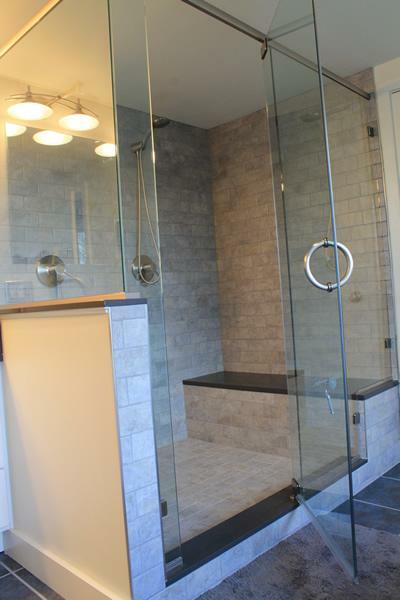 We constructed a 4’x6’ custom tile shower, with dual fixtures, rain shower heads, and handheld fixtures. 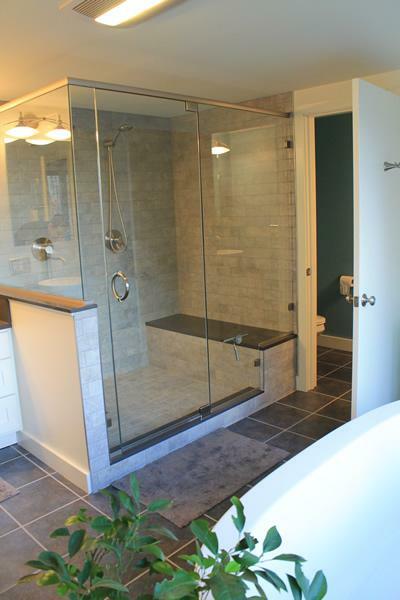 The shower features custom glass, and an added shower guard to eliminate streaks and spots. The water supply lines were also upgraded, to provide additional volume for the multiple fixtures. 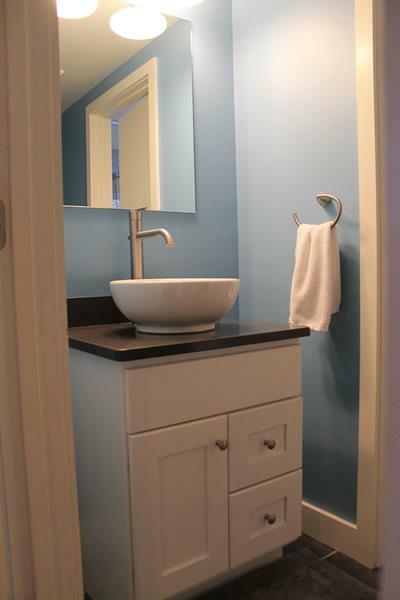 The bathroom has a separate toilet and sink room, for privacy. 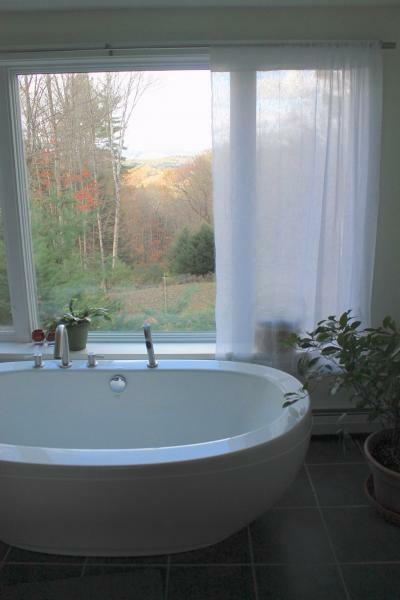 Tile flooring was installed throughout the bathroom.